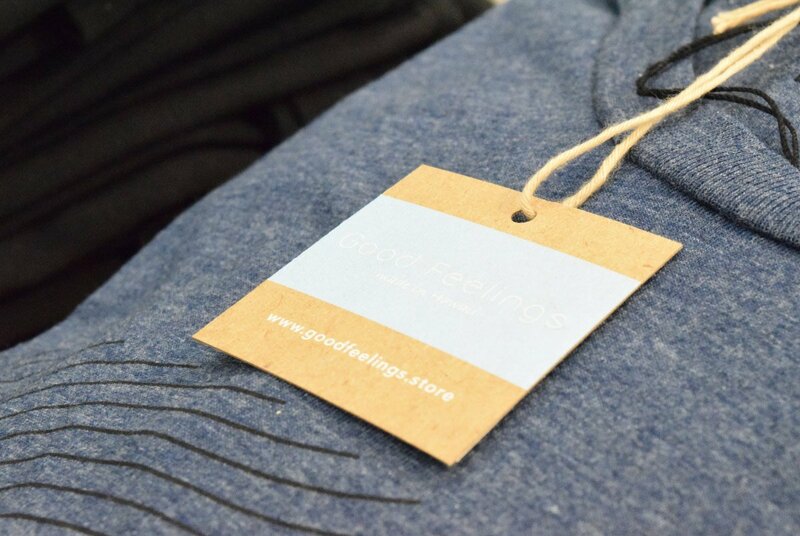 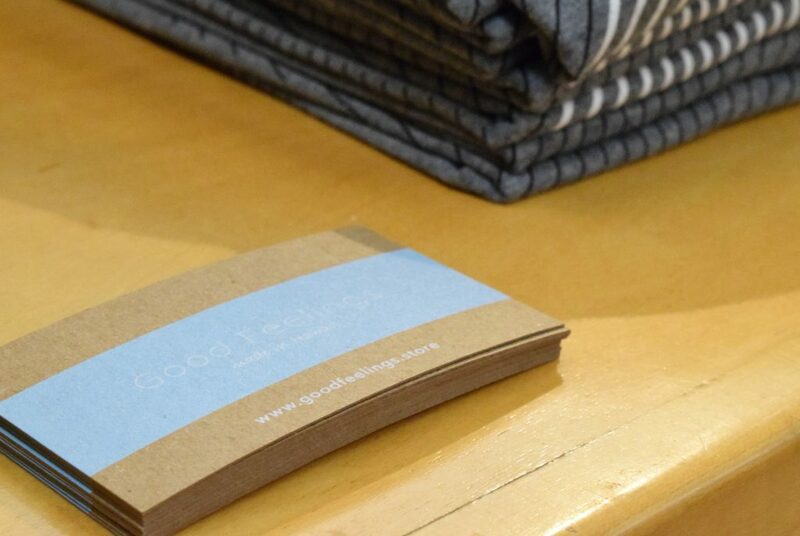 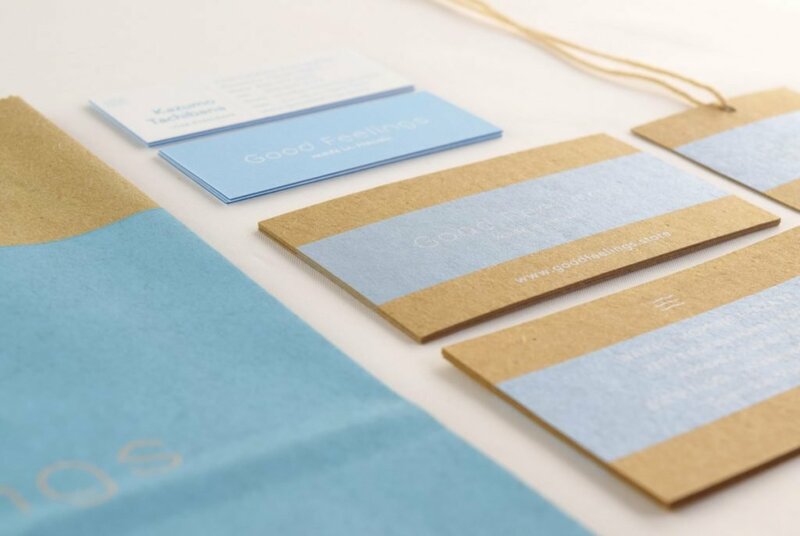 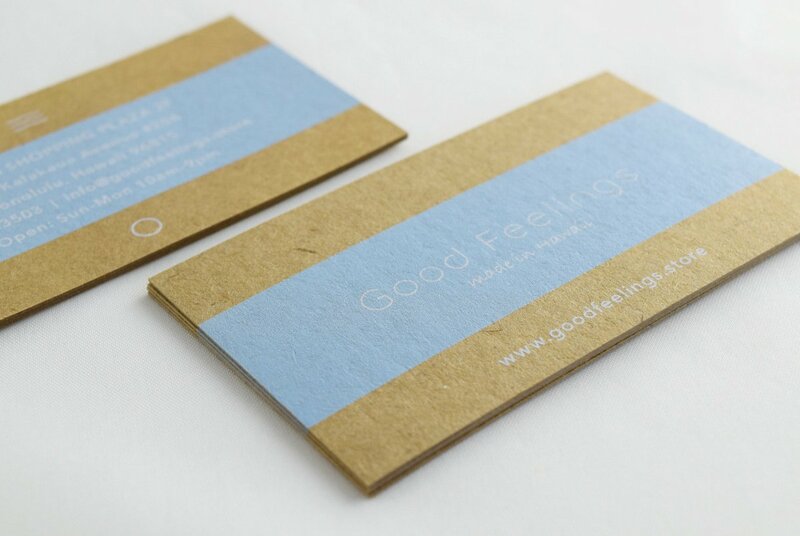 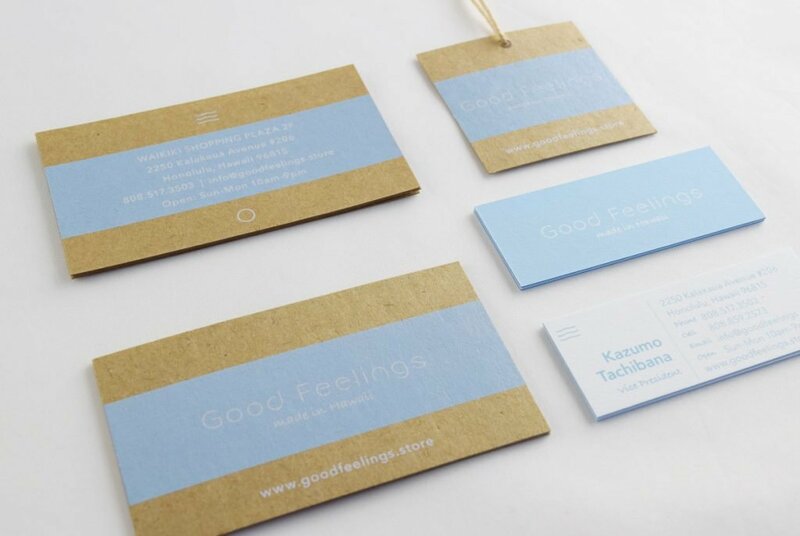 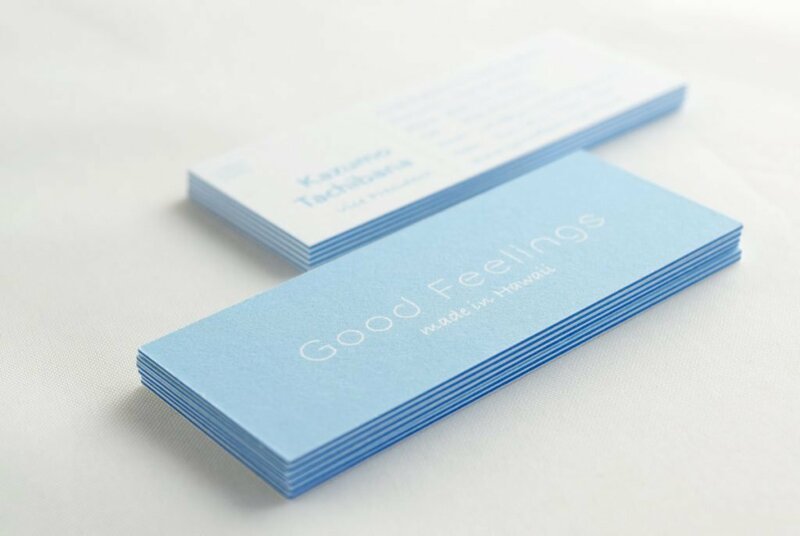 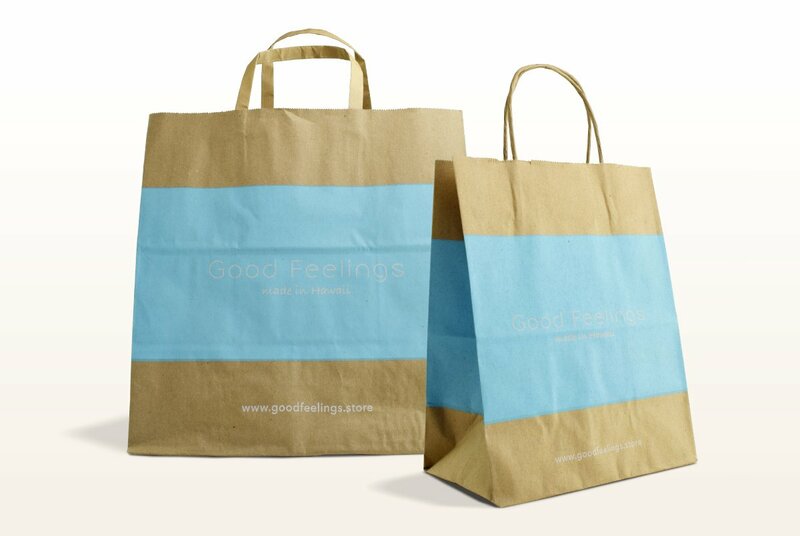 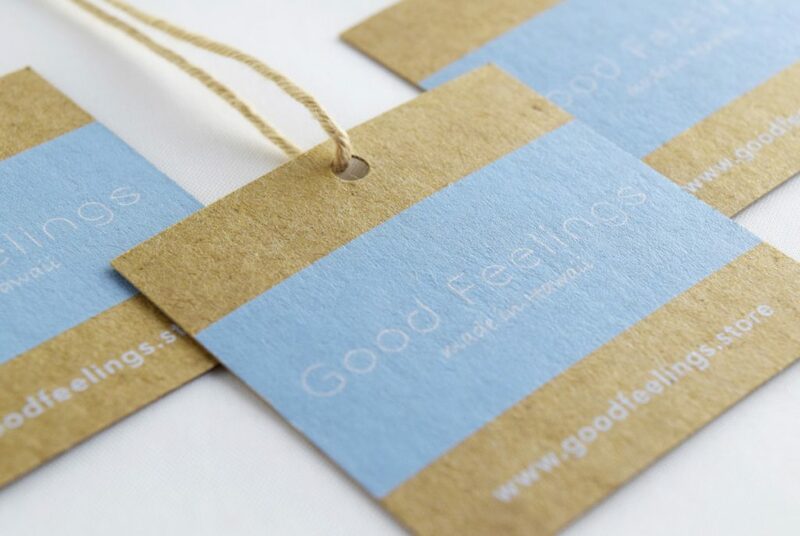 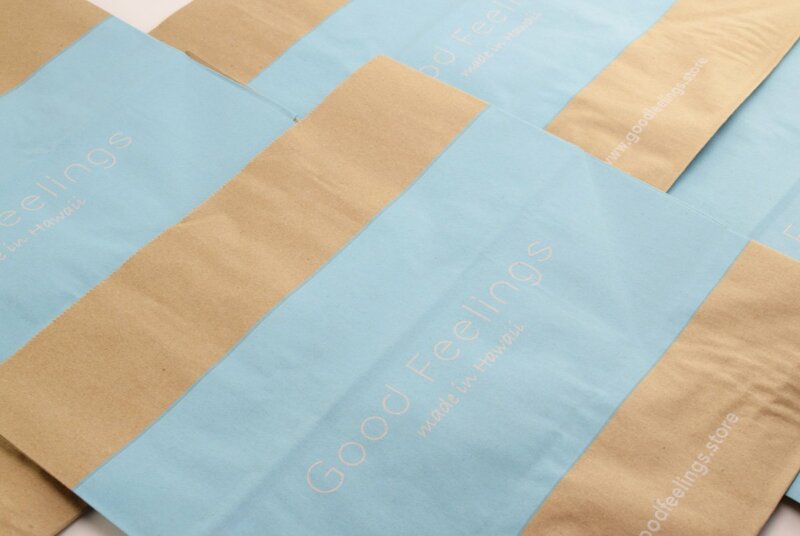 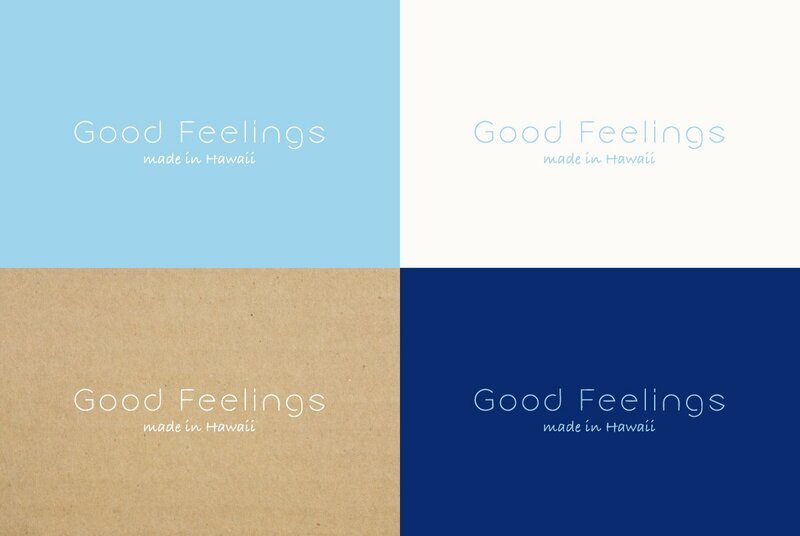 Using contemporary Hawaiian style as the concept, our client opened a lifestyle/select shop called “Good Feelings” in Waikiki which only collects “comfortable things.” The client already had a monochromatic, typographic logo with the store’s name, but needed help with developing the brand even further. 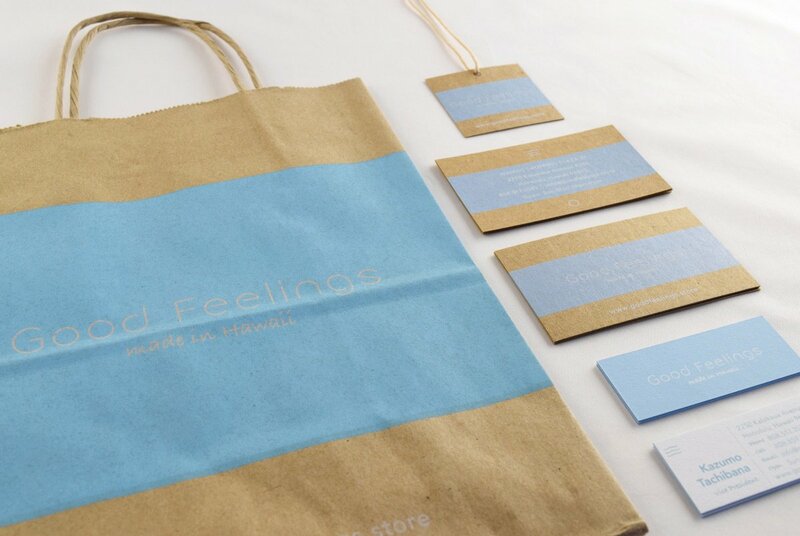 The client was seeking a minimum store branding and design that fit within their limited budget. 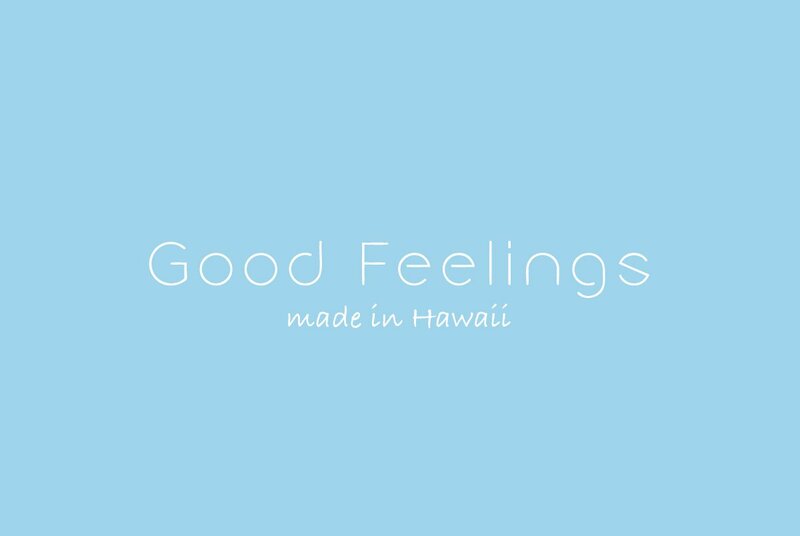 We have created a contemporary Hawaiian brand image by mainly using light blue depicting Hawaii's ocean and sky as the brand's colors, and combining icons and craft material. 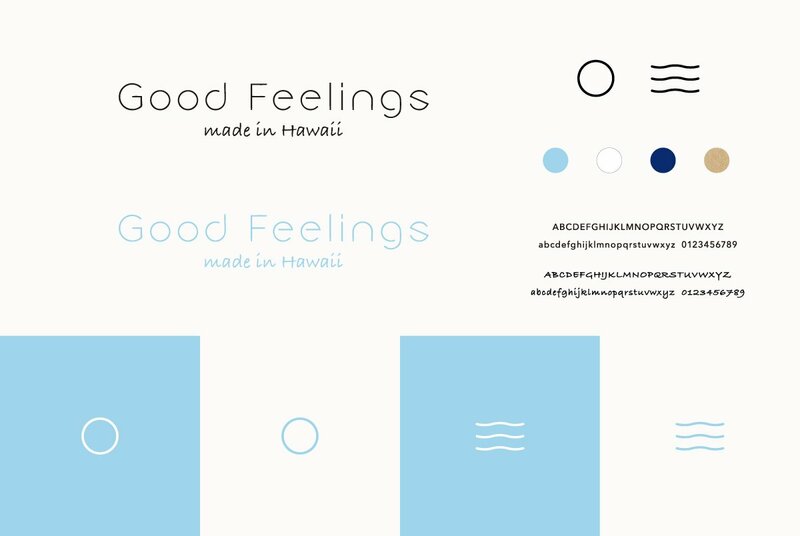 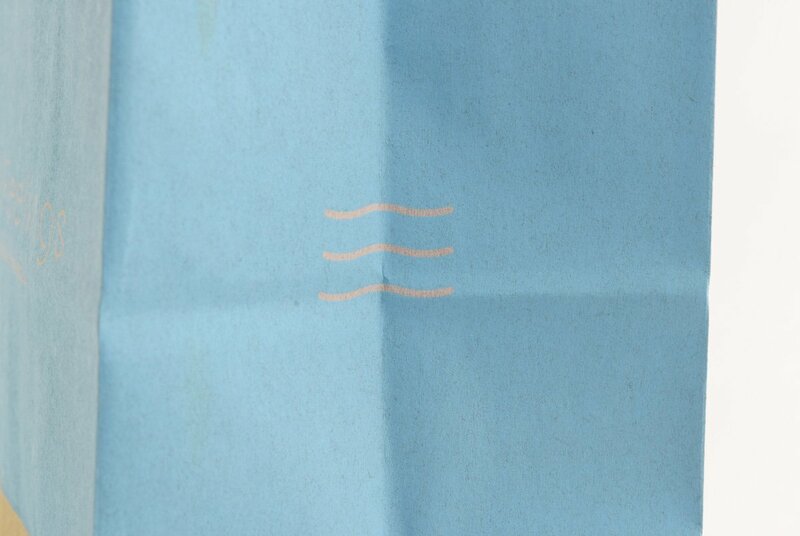 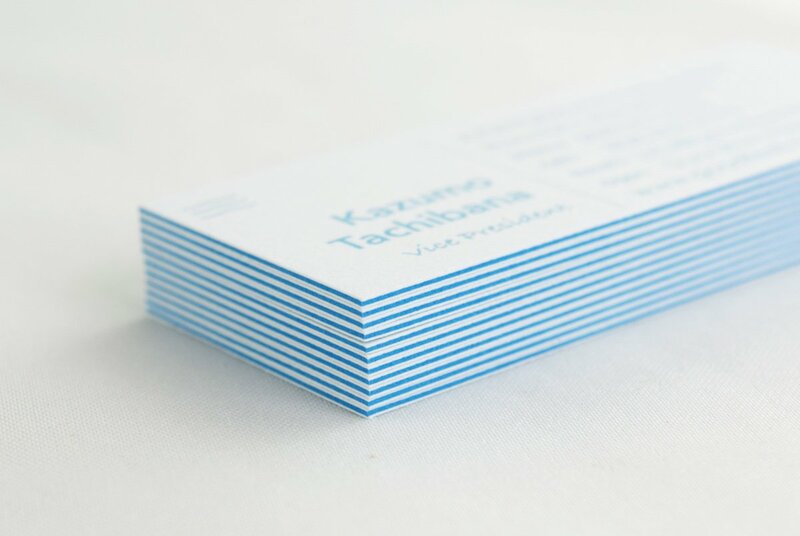 Since the store only handles made-in-Hawaii products, we created brand elements based on the minimal design of the two shades of blue that evoke the feeling of the Hawaiian ocean and sky; the circle element represents the sun, and the wave represents the ocean. The colors and the elements combined express “contemporary Hawaii.” Because many made-in-Hawaii products use handmade or natural materials, we used craft paper as the key visual element, which also gives off a natural vibe. 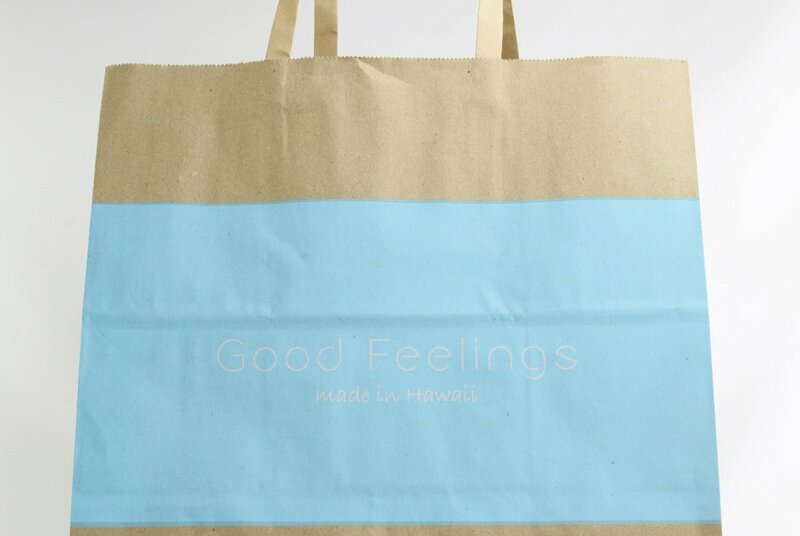 Overall, we aimed to build a cool and sophisticated Hawaiian brand that conveyed the store’s concept.